As a wedding photographer I always try to capture the ceremony site before the guests arrive. There is just something really special about seeing the photo of where you got married before the wedding begins. Most brides and grooms will never see what the ceremony looked like before they arrive, this is why I photograph the details. 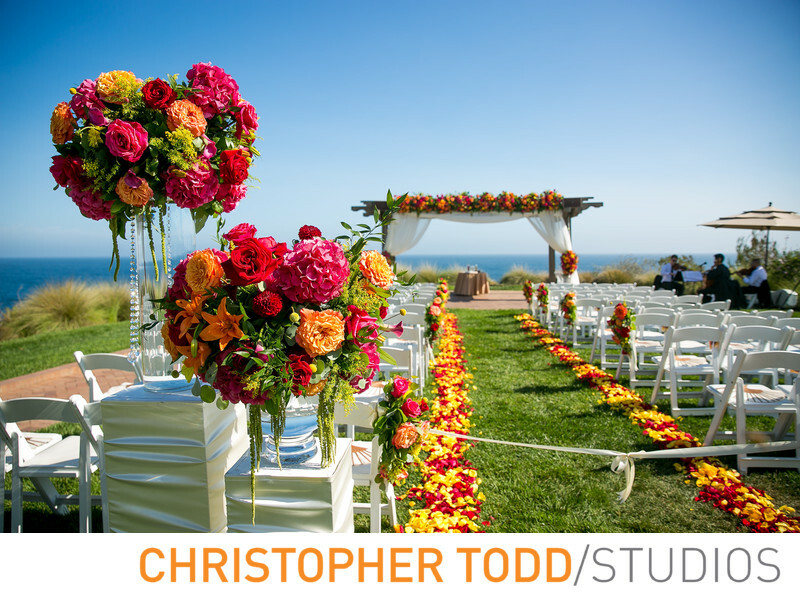 This ocean view luxury outdoor ceremony was beautifully decorated at Terranea Resort. The flower arrangements were stunning and added such a vibrant look to the white chairs. Location: 100 Terranea Way, Rancho Palos Verdes, CA 90275. 1/1000; f/3.5; ISO 100; 24.0 mm.